A 1983 graduate of North High School, Wendy Martell-Taylor may never have been known as one of the most prolific female athletes in North High and Fresno State history had it not been for the landmark legislation of Title IX allowing her to play and compete in high school and college. The late 70’s were groundbreaking years for female athletes when Title IX was just being implemented in high school and colleges around the country. Wendy, without realizing it, blazed a trail of competitive excellence not only for women but men as well. If you followed the high school sports scene in Kern County in the early 1980s, you often heard of a basketball phenom by the name of Wendy Martell. Also, if you happened to be in the vicinity of Fruitvale-Norris Park during those years, you would often see Wendy practicing and honing her skills, endlessly and tirelessly, on the basketball courts there. With a work ethic that is unparalleled, Wendy was never content to get by on her God-given talent. A self-confessed gym rat, she knew that champions came from hours and hours of practice when no one was watching to cheer you on and your desire to make the most of what God has blessed you with was your only companion. Wendy’s efforts were rewarded, being named to the All Northern California High School Basketball Team twice. Also, as a high school senior, she was named South Yosemite League Most Valuable Player and she was the recipient of the Jim Tyack Award, which annually recognizes the outstanding male and female athlete in the Kern High School District. Wendy took her prodigious talent to Fresno State where she quickly made an impact, being an Honorable Mention All-American as a freshman. Enjoying a stellar career at Fresno State, she was a two-time First-Team All-Conference player and was also named to the All-American team in both her junior and senior years. She was also named PCAA Conference Player of the Year as a senior. Wendy excelled in the classroom as well, being named Fresno State Female Scholar Athlete of the Year as a senior. Her faith was also acknowledged and recognized by the Fellowship of Christian Athletes, who named her their Fresno State FCA Athlete of the Year twice. Furthermore, her basketball playing days didn’t end at Fresno State. In 1987, she played professionally in the Europe Cup with Stade Francais Versailles. 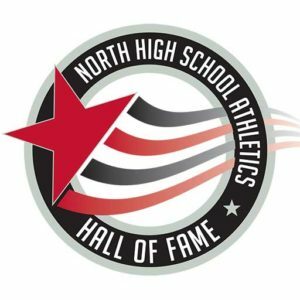 Wendy’s induction into the North High School Hall of Fame was preceded by her induction to the Fresno Athletic Hall of Fame. She was the first Fresno State Women’s Basketball player to have her jersey retired and she was named to the top 25 greatest athletes at Fresno State for the 20th Century chosen from all sports. Wendy has used her love for basketball and God as a springboard to travel the world sharing the Gospel of Jesus Christ. Basketball continues to be a huge part of her and her family’s lives. She has been married to her husband, Lance Taylor for 25 years. Lance played collegiate basketball for Belmont University in Tennessee. She resides in Hendersonville, Tennessee with Lance and their five children: Bailey, McKenna, Sawyer, Reese, and Zac, who all enjoy playing basketball.